Bradford Lee Beck, a 41-year-old partially paralyzed Vietnam War veteran, befriended Frederick in November of 1989. Beck let Frederick stay with him and told his family that Frederick was an old war buddy. Beck said the two had stayed together at a veterans hospital. Frederick was a former assistant Noble, Oklahoma assistant police chief. Beck's body was found in a field in January 1990, dead from unspecified head trauma. Frederick was arrested in Texas on Nov. 19, 1989, and was charged with capital murder in the death of 77 year old Shirley C. Fox in Texline. Fox died after receiving a shotgun blast to his face and numerous hammer blows to the head during an apparent robbery attempt, authorities said. Frederick was wearing Beck's clothes when he was arrested in an Amarillo, Texas, bar. Texas officials chose not to prosecute him since Oklahoma was seeking the death penalty. At the time of his arrest, Frederick confesed to the murder of Beck, telling authorities one of his personalities, named Jeff, made him do bad things. In waiving his rights to further appeals, Frederick said in a February 2001 letter to Assistant Attorney General Sandy Howard. "I am guilty of the crime, let there be no doubt of that." Frdereick was first convicted and sentenced to death in 1992. Following reversal on appeal on the grounds that Frederick was denied the right to further mental health experts, Frederick was again sentenced to death in 1998. Fried chicken, biscuits and chocolate pie. "Mere words cannot begin to express the sorrow I feel over my actions," Frederick said in a February 2001 letter to Assistant Attorney General Sandy Howard. "I am guilty of the crime, let there be no doubt of that." Attorney General Drew Edmondson today asked the Oklahoma Court of Criminal Appeals to set an execution date for Oklahoma County death row inmate Earl Alexander Frederick, Sr.
Edmondson originally asked for an execution date in January after the inmate indicated his desire to waive his appeals. Despite Frederick's wishes, his attorney requested and received an extension of time in which to file an appeal to the U.S. Supreme Court. The Oklahoma Court of Criminal Appeals did not set an execution date, but the court did deny Frederick's then pending post-conviction application, which the attorney general asked to be dismissed in January. No petition for certiorari has been filed with the U.S. Supreme Court, prompting today's request. Frederick, 51, was convicted of the November 1989 murder of 41-year-old Bradford Lee Beck. Becks' partially decomposed body was discovered Jan. 15, 1990, in a field in the 8700 block of N.E. 23rd Street. The medical examiner listed the cause of death as undetermined head trauma and classified the manner of death as homicide. Edmondson's brief asked the court to set the date 30 days from June 5. Edmondson's brief further informed the court that, if "competency proceedings are necessary," the state "stands ready to utilize every resource at its disposal" to hold the hearing before the requested execution date. "It is the practice of this office, before an execution date is requested, to examine each case to determine if the testing of DNA evidence should occur," said Edmondson. "We have determined, after a thorough review of this case, that DNA testing would be of no value and would have no relevance as to actual innocence." A man who was charged in a Texas Panhandle slaying has been found guilty of murder in an Oklahoma case. Earl Alexander Frederick Sr., who says he has multiple personalities, was convicted in the beating death of Bradford Beck. Prosecutors said they believe Beck was robbed and then died of a blow to the head. Frederick was arrested in Dallas County on Nov. 19, 1989, and was accused of killing an elderly man. Frederick, formerly from Dallas, was charged with capital murder in the death of Shirley C. Fox in Texline. Fox died after receiving a shotgun blast to his face and numerous hammer blows to the head during an apparent robbery attempt, authorities said. Texas officials chose not to prosecute him since Oklahoma was seeking the death penalty. Beck's body was found in a field in January 1990. He had been killed Nov. 11, 1989. Authorities linked Fox's murder and the Oklahoma killing after officers learned that a pickup found at the site of Fox's death belonged to Beck, officials said. Court records showed Frederick confessed to Beck's death. Frederick gave police four names and told them one of his personalities, known as Jeff, made him do bad things. Prosecutors say Frederick is faking the multiple personality disorder. Frederick was found guilty in 1992, but the state Court of Criminal Appeals reversed the conviction and ordered a new trial. UPDATE: The Oklahoma Court of Criminal Appeals has set July 30 as the execution date for Oklahoma County death row inmate Earl Alexander Frederick, Sr. Attorney General Drew Edmondson requested the date June 7. Frederick, 51, was convicted of the November 1989 murder of 41-year-old Bradford Lee Beck. Beck's partially decomposed body was discovered Jan. 15, 1990, in a field in the 8700 block of N.E. 23rd Street. The medical examiner listed the cause of death as undetermined head trauma and classified the manner of death as homicide. UPDATE: Earl Frederick was executed for the 1989 beating death of a Spencer man. Frederick, 51, who said he wanted his sentence carried out, was pronounced dead at 6:19 p.m. after receiving a lethal injection of drugs. He was convicted twice for killing Bradford Lee Beck. Frederick had told the Oklahoma Attorney General's office he wanted to waive any appeals to his sentence. "Mere words cannot begin to express the sorrow I feel over my actions," Frederick said in a February 2001 letter to Assistant Attorney General Sandy Howard. "I am guilty of the crime, let there be no doubt of that." Beck's mother Beatrice and his cousin Mark Smith were expected to witness the execution. "I never thought I would live to see the execution carried out," Beck's family said in a statement. "I am relieved to know that justice will be served this evening." Frederick was first convicted in 1992 and sentenced to death for killing Beck. Beck's body had started to decompose when it was found in a field in Midwest City on Jan. 15, 1990. The medical examiner listed the cause of death as undetermined head trauma. Prosecutors said the 41-year-old Beck, a partially paralyzed Vietnam War veteran, befriended Frederick in November of 1989. Beck let Frederick stay with him and told his family that Frederick was an old war buddy. Beck said the two had stayed together at a veterans hospital. The second trial came in 1998 after a judge ruled Frederick, a former Noble assistant police chief, was competent to stand trial again. At the time of his arrest, Frederick told authorities one of his personalities, named Jeff, made him do bad things. Prosecutors argued Frederick was faking multiple personality disorder. He was convicted and again sentenced to death. "I certainly feel the conviction and sentence I received the first time was justified," Frederick said. "Just as it was (the second) time also." Earl Alexander Frederick Sr. executed for 1989 beating death. Earl Alexander Frederick Sr. was executed Tuesday for the 1989 beating death of a Spencer man. Frederick, 51, who said he wanted his sentence carried out, was pronounced dead at 6:19 p.m. after receiving a lethal injection of drugs. He was convicted twice for killing Bradford Lee Beck. Frederick had told the Oklahoma Attorney General's office he wanted to waive any appeals to his sentence. "Mere words cannot begin to express the sorrow I feel over my actions," Frederick said in a February 2001 letter to Assistant Attorney General Sandy Howard. "I am guilty of the crime, let there be no doubt of that." Beck's mother Beatrice and his cousin Mark Smith were expected to witness the execution. "I never thought I would live to see the execution carried out," Beck's family said in a statement. "I am relieved to know that justice will be served this evening." Frederick was 1st convicted in 1992 and sentenced to death for killing Beck. Beck's body had started to decompose when it was found in a field in Midwest City on Jan. 15, 1990. The medical examiner listed the cause of death as undetermined head trauma. Prosecutors said the 41-year-old Beck, a partially paralyzed Vietnam War veteran, befriended Frederick in November of 1989. Beck let Frederick stay with him and told his family that Frederick was an old war buddy. Beck said the two had stayed together at a veterans hospital. The 2nd trial came in 1998 after a judge ruled Frederick was competent to stand trial again. At the time of his arrest, Frederick told authorities one of his personalities, named Jeff, made him do bad things. Prosecutors argued Frederick was faking multiple personality disorder. He was convicted and again sentenced to death. "I certainly feel the conviction and sentence I received the 1st time was justified," Frederick said. "Just as it was (the 2nd) time also." Frederick becomes the 4th condemned inmate to be put to death this year in Oklahoma, and the 52nd overall since the state resumed capital punishment in 1990. Frederick becomes the 38th condemned inmate to be put to death this year in the USA and the 787th overall since America resumed executions on January 17, 1977. Earl Frederick - Scheduled Execution Date and Time: 7/30/02 7:00 PM EST. Earl Frederick, a 49-year old white male, is scheduled to be executed by the State of Oklahoma on July 30 for the 1989 murder of Bradford Beck. Frederick has alleged that his mental trauma during and after the murder affected his culpability. Moreover, Frederick is a volunteer for execution, having only entered the first stage of his appeals. Frederick had his original death sentence overturned because he was not allowed to seek qualified mental health experts to testify to his competence to stand trial. Although it was seen as necessary by the trial court, the indigent defense system in Oklahoma did not have the funds to procure such an expert. After several false starts with unqualified psychiatrists, Frederick’s legal team eventually found an expert to examine and testify on his behalf. This expert, Dr. Bennet Braun, was able to examine Frederick- but only in November of 1992, almost six months after the trial had begun. This was unacceptable to the trial judge, who proceeded with the trial anyway. Possibly, the testimony of a qualified mental health expert would have been enough to show Frederick’s lack of competence to stand trial and prevented a death sentence in his case. This conviction was overturned and in a new trial Frederick was again sentenced to death. Earl Frederick is only in the first stage of his appeals, yet he has decided to volunteer for execution. Please write to the State of Oklahoma to protest this execution. 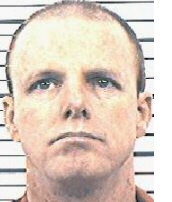 Killer Who Gave Up Appeals Executed in Oklahoma. McALESTER, Okla. - A convicted killer who waived his appeals to quicken his trip to the death house got his wish Tuesday night. Earl Frederick was executed by lethal injection for the 1989 beating death of a partially paralyzed Vietnam veteran. Frederick, who once worked as an assistant police chief, was the fourth person executed in the state this year. He was sentenced to die for the beating death of Bradford Beck, 41. Frederick was also a suspect in a Texas murder in which an elderly man was shot in the face with a shotgun during a robbery Texas never prosecuted Frederick for the crime, since Oklahoma was seeking a death penalty against him for the Beck murder. In the Oklahoma case, Beck allowed Frederick to live in his home. He had reportedly met Frederick only five days before his murder, prosecutors said. In his defense, Frederick's claimed that he had multiple personality disorder and amnesia. Frederick said another "personality" actually comitted the killing of Beck. Prosecutors say he is faking. OKLAHOMA: A man who was charged in a Texas Panhandle slaying has been found guilty of murder in an Oklahoma case. Earl Alexander Frederick Sr., who says he has multiple personalities, was convicted in the beating death of Bradford Beck. Prosecutors said they believe Beck was robbed and then died of a blow to the head. Frederick was arrested in Dallam County on Nov. 19, 1989, and was accused of killing an elderly man. Frederick, formerly from Dallas, was charged with capital murder in the death of Shirley C. Fox in Texline. Fox died after receiving a shotgun blast to his face and numerous hammer blows to the head during an apparent robbery attempt, authorities said. Texas officials chose not to prosecute him since Oklahoma was seeking the death penalty. Oklahoma County jurors deliberated 2 hours Wednesday before convicting Frederick, 46, of first-degree murder for the Beck slaying. Prosecutors are seeking the death penalty. Beck's body was found in January 1990 in a field near Spencer, Okla. He had been killed Nov. 11, 1989. Authorities linked Fox's murder and the Oklahoma killing after officers learned that a pickup found at the site of Fox's death belonged to Beck, officials said. Court records showed Frederick confessed to Beck's death. Frederick gave police four names and told them one of his personalities, known as Jeff, made him do bad things. Prosecutors say Frederick is faking the multiple personality disorder. Frederick was found guilty in 1992, but the state Court of Criminal Appeals reversed the conviction and ordered a new trial. Earl Alexander Frederick Sr., 46, was found guilty Wednesday of 1st-degree murder in the beating death of Bradford Beck, 41, whose body was found in January 1990 in a field near Spencer. He was killed Nov. 11, 1989, by a blow to the head. Jurors deliberated about 3 1/2 hours Friday. Beck, a Vietnam War veteran who was partially paralyzed, had befriended Frederick 5 days before the slaying, prosecutors said. Beck let Frederick live in his house, prosecutors said. Beck had ''extended his friendship to Frederick'' and repaid him by killing him and stealing his pickup and clothes, said Sandra Howell Elliott, assistant district attorney in Oklahoma County. Frederick told neighbors he and Beck were war buddies, but there is no evidence Frederick served in Vietnam, she said. Frederick was wearing Beck's clothes when he was arrested Nov. 19 in an Amarillo, Texas, bar. He was originally arrested in the shotgun death of an elderly man in Texline, a small town in the northwest corner of the Texas Panhandle. That victim, Shirley Fox, 77, was beaten and then had a shotgun put in his mouth, prosecutors said. Fox was robbed of some guns and coins he had framed. Texas authorities have not prosecuted Frederick for that crime since the Oklahoma County district attorney's office was seeking the death penalty. Frederick, who was the assistant police chief in Noble in the early 1970s, told Texas authorities he had multiple personalities. Frederick also gave police 4 names after his arrest and told them one of his personalities, known as Jeff, made him do bad things. Oklahoma County prosecutors contend Frederick faked the multiple personality disorder. Frederick also claims to have amnesia and cannot remember the killings. Frederick was found guilty in 1992 and given a death sentence, but the state Court of Criminal Appeals later ordered a new trial.